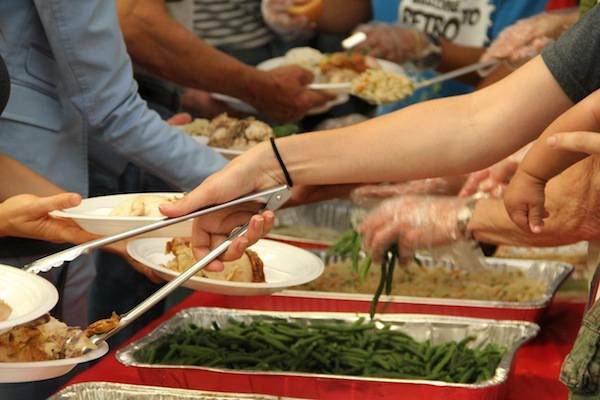 We serve a warm, nutritious meal at the Day Center for the Homeless downtown on the 3rd Friday of each month. Our group requires 4-6 people to help prepare the meal in the parish kitchen which takes about 2 hours. Then, we need about 6-7 people to pick up the food from the parish and deliver it to the Tulsa Day Center for the Homeless. This ministry is a great opportunity for families and teens needing volunteer service hours. This is truly a rewarding ministry. If you have an interest in assisting with this ministry and are willing to commit for a specific month (January through May), please contact Mary Bisett or by phone at 918-622-4453.